Written by Pastor Mike Schreiner and Ken Willard of Morning Star Church in O’Fallon, Missouri, Stride asks us to reevaluate our church’s ministry as a whole in order to find what is truly important and what makes a truly healthy church body. 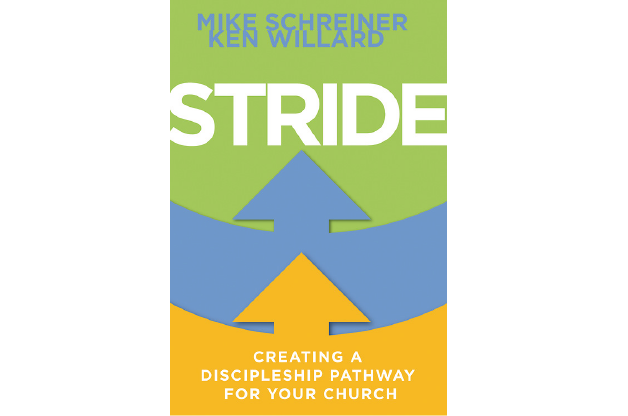 Jesus’ last command to his disciples was to make more disciples of all nations and that, in turn, is the focus of the ministry at Morning Star and the core message of Stride. This book gives a practical way to develop a discipleship pathway at your church in order to create more outwardly focused and spiritually centered Christ followers.